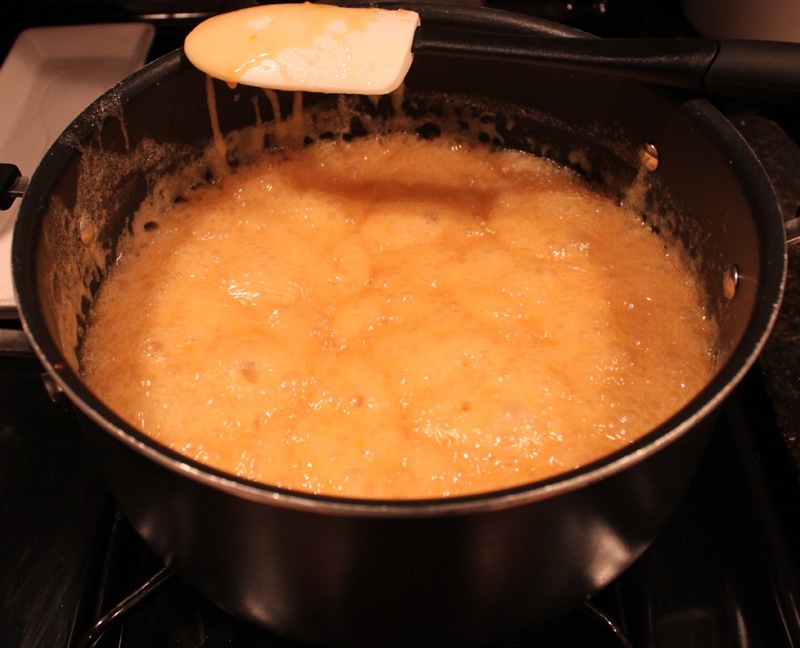 You know I detest corn syrup in my recipes. 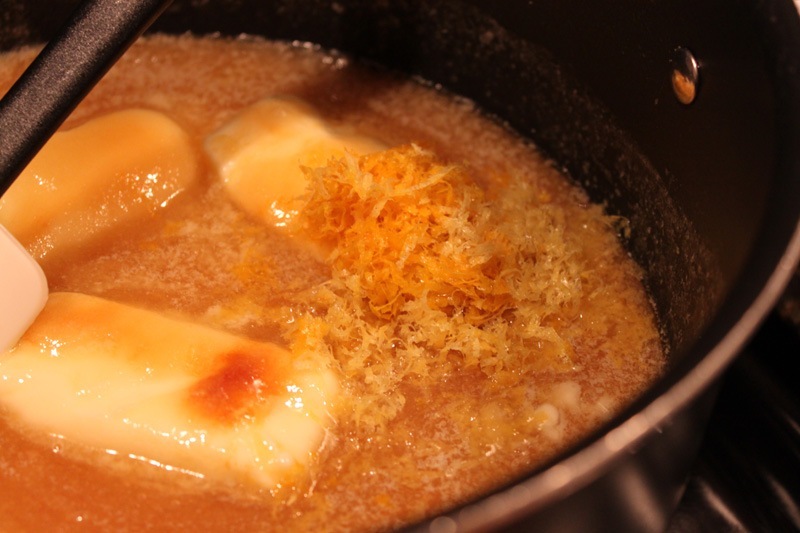 However, instead of avoiding the recipes I like that use it, I try find a way around it. 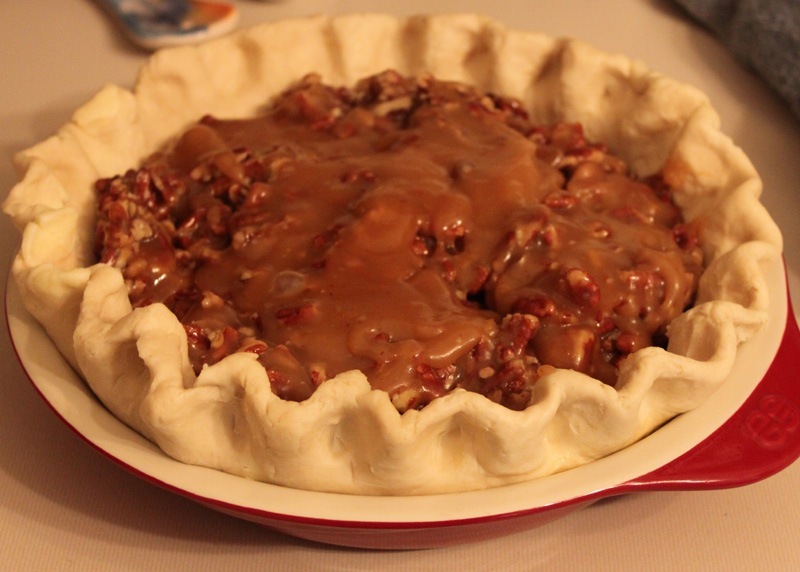 For example, I really wanted to make pecan pie, from scratch, for Thanksgiving this year. 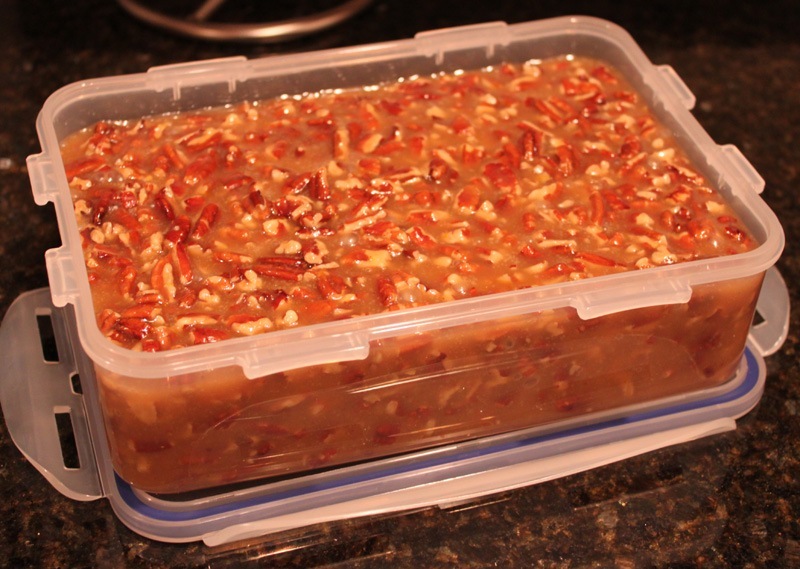 After much internet research for a corn syrup alternative, I found Smitten Kitchen’s recipe for pecan squares and it was exactly what I was looking for (of course it was). I gave the recipe a few tweaks and was off to make the filling. 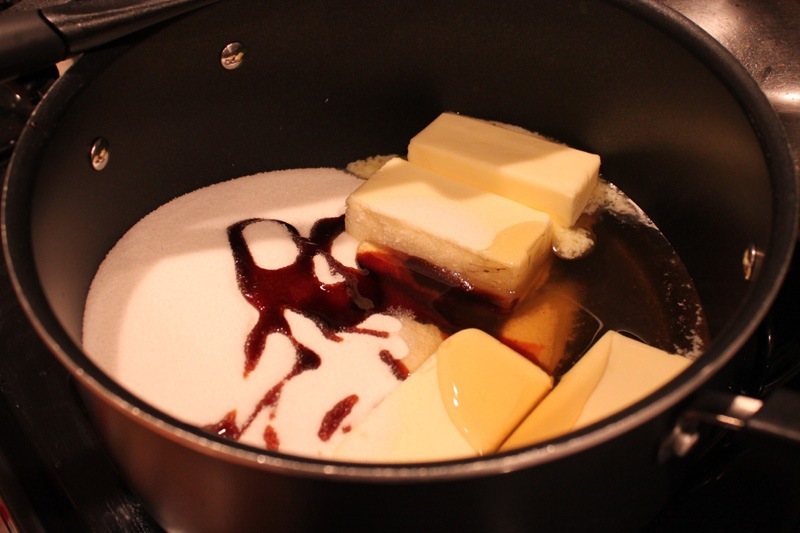 Start by melting the sugar, butter, honey, and molasses over medium heat. 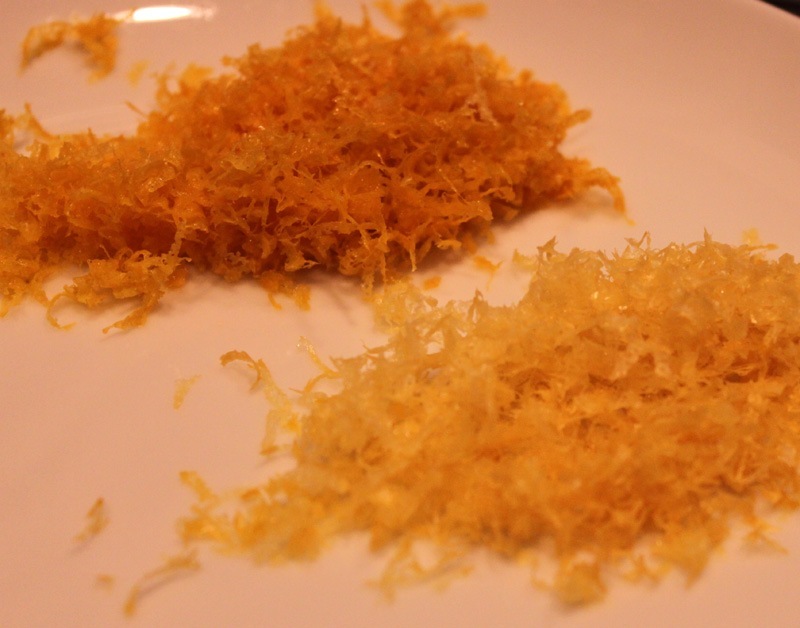 As the mixture melts, zest the orange and lemon. Add the zest to the pot and stir to combine. Bring the mixture to a boil. This should take 5-7 minutes. You can bump the heat up a bit if you need to. 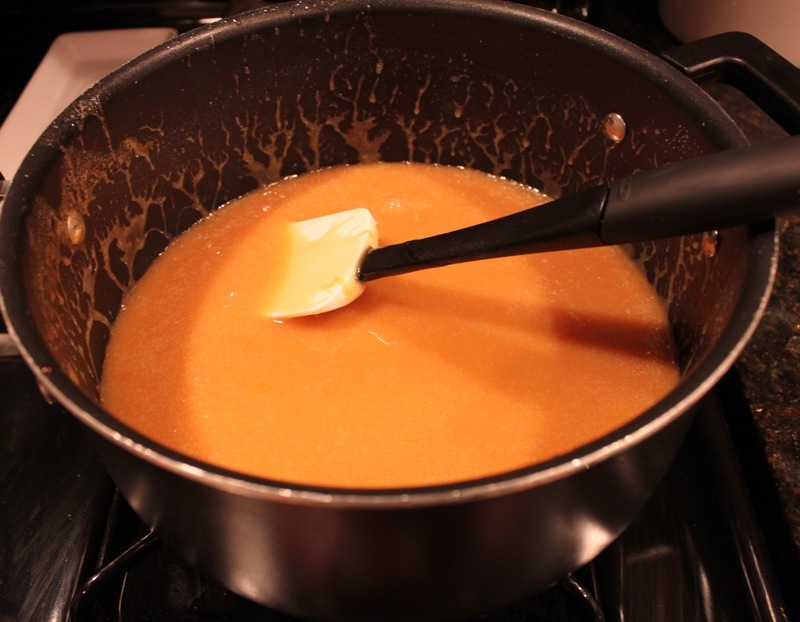 Stir the boiling mixture for a minute or two, then add in the half and half (or cream). 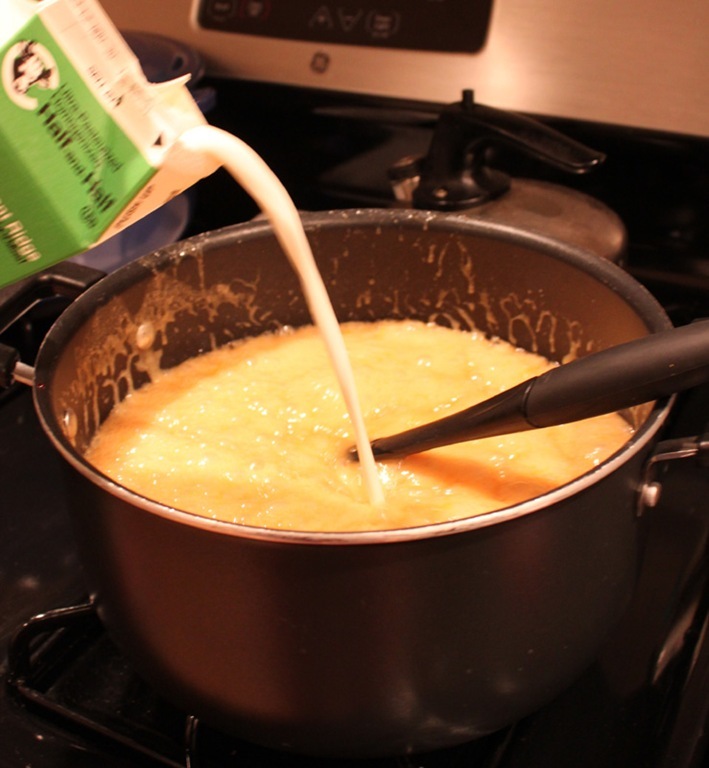 Turn the heat off and keep stirring until the half and half is fully incorporated. 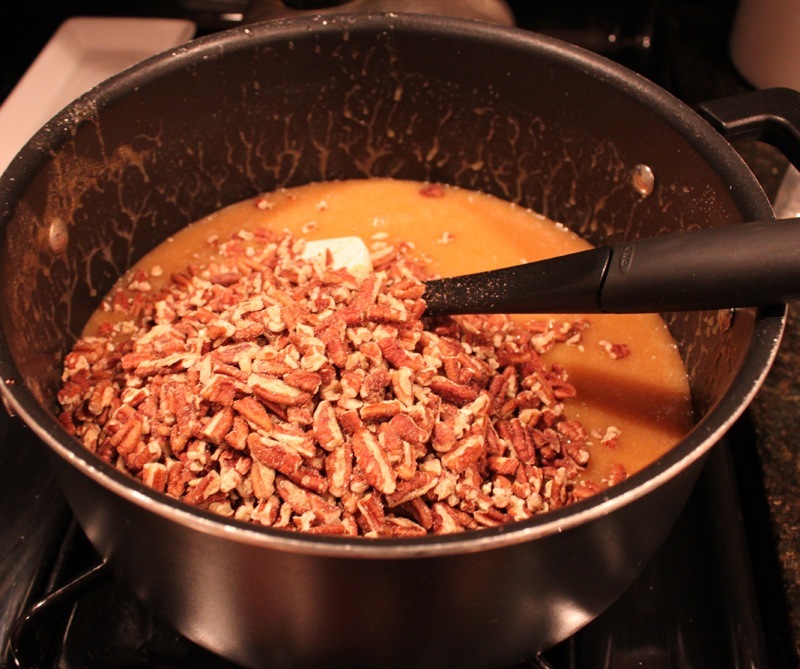 Slowly stir in your pecans. 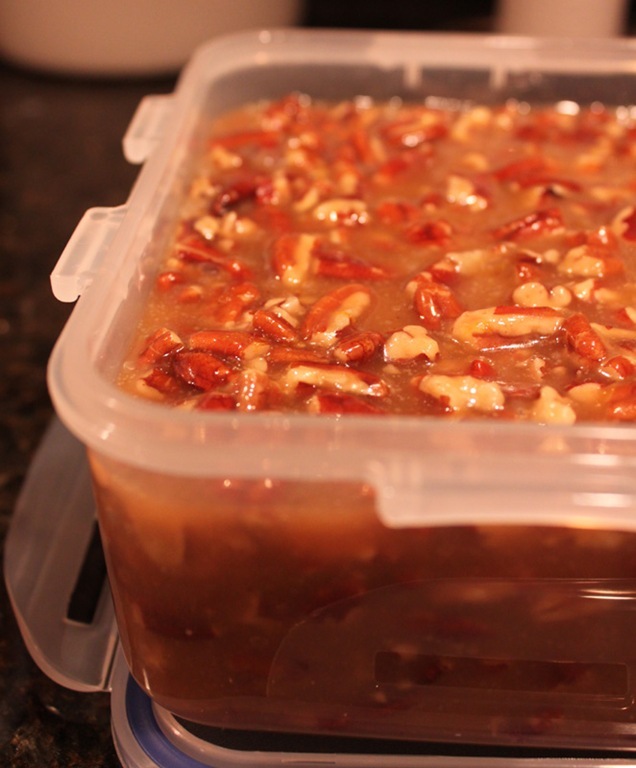 At this point I poured my pecan pie filling into a well-locking tupperware container for the trek to New Jersey. 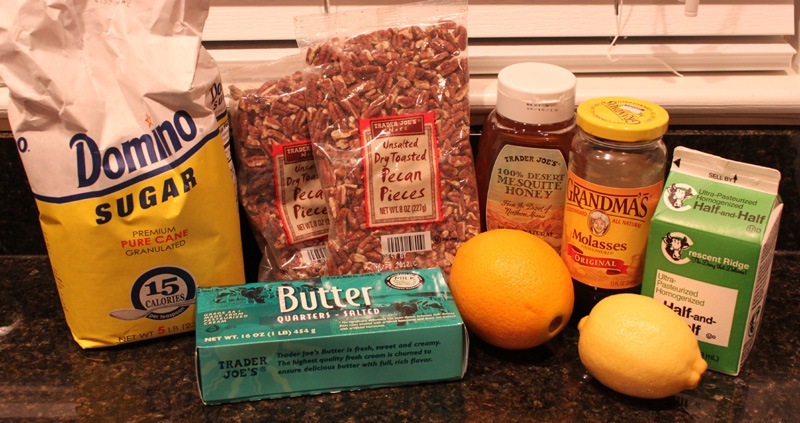 This pie is a great make ahead for any occasion. 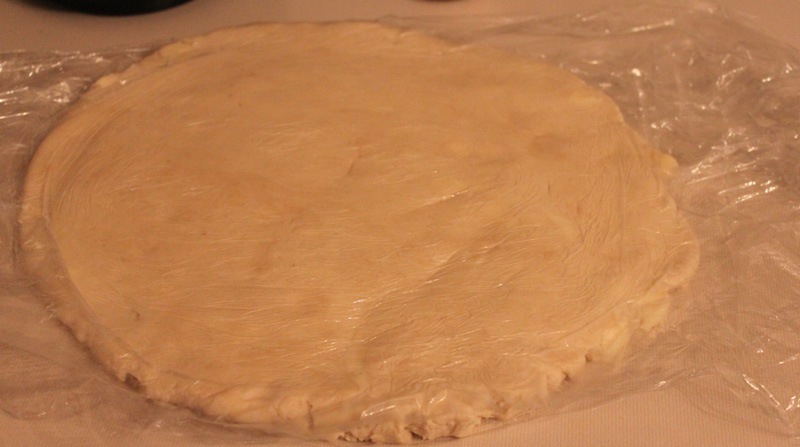 You can make both the filling and the pie crust dough ahead of time and store in the fridge for a few days. 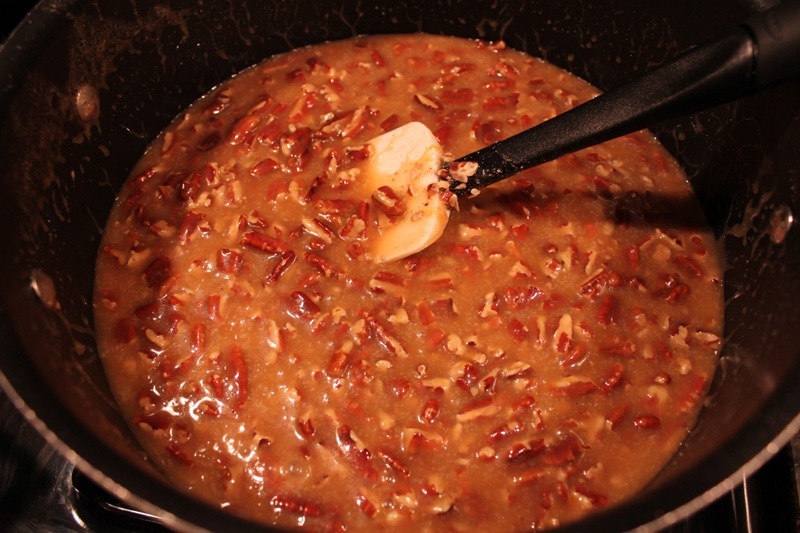 The pecan pie filling will keep for a week or two. 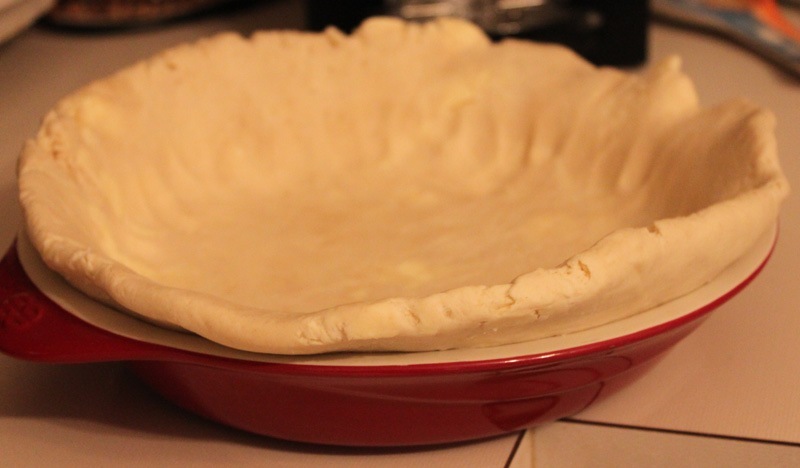 On Thanksgiving morning I gathered up my filling, dough, and pie pan in my mother-in-law’s kitchen and baked it at 8AM. 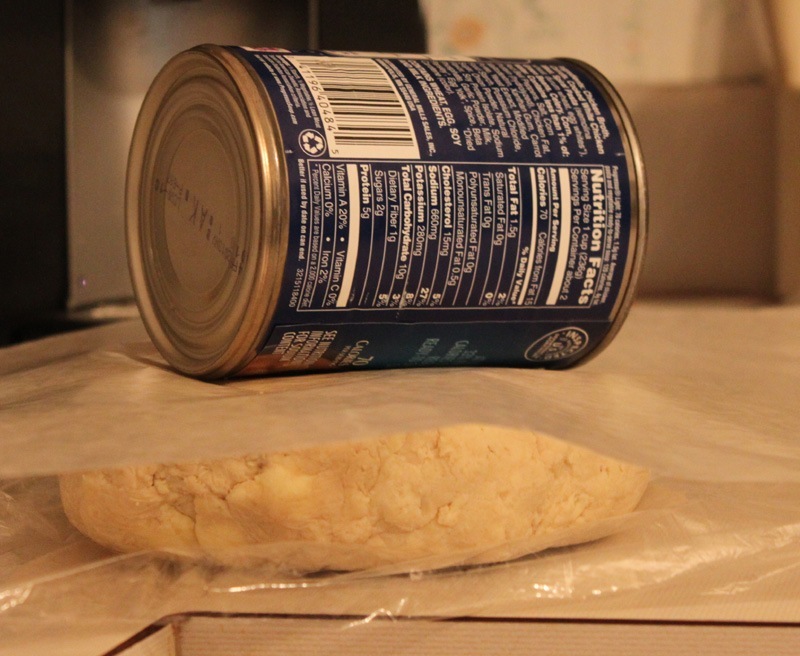 I couldn’t find her rolling pin, stupidly didn’t bring my own, and didn’t want to bother anyone at 8AM to find it, so I used my hands and a can of soup to roll out the dough. I’m nothing if not resourceful. 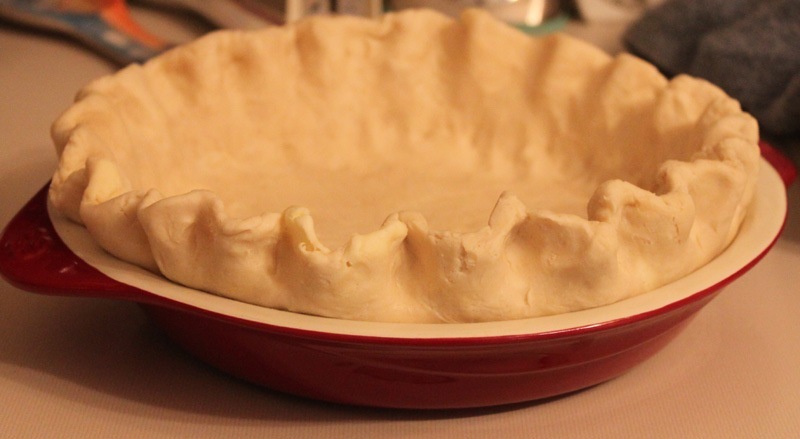 I rolled out the dough to fit my pie pan and crimped the edges with my fingers. I added the pie filling and baked on 350 degrees for about 45 minutes. 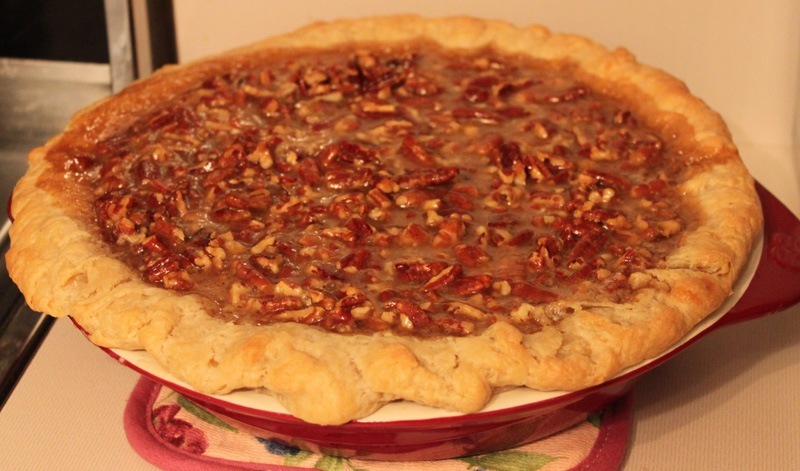 My pie came out beautifully, tasted sweet and decadent just like pecan pie should, and had no junk ingredients in it. Win! This recipe easily can make two pies worth of filling. In the oven now for Thanksgiving. Smells delicious!